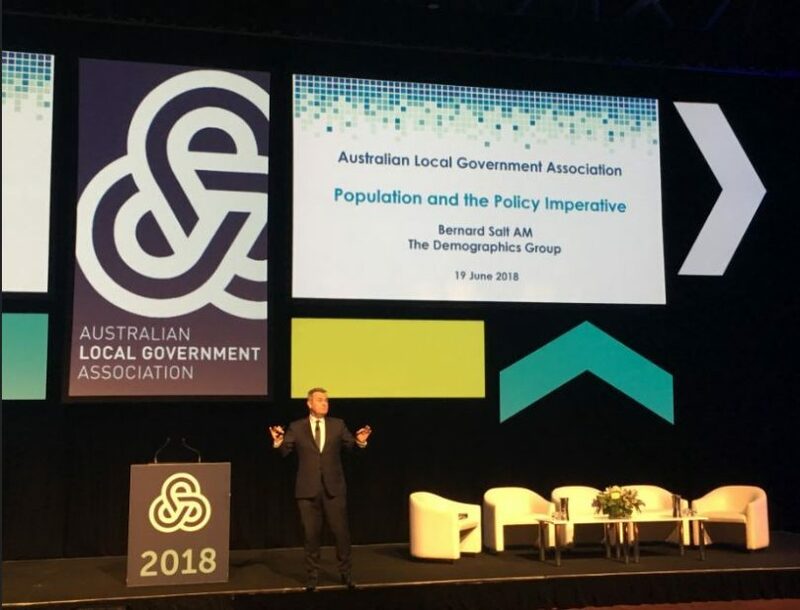 I attended the Australian Local Government Association’s National General Assembly for the first time this year. Here's my recap of the few chilly days I spent in our nation’s capital. This year’s assembly was one of the best attended in recent times. No doubt in part due to a looming federal election, the event saw unprecedented attention from federal politicians. Their message was clear: local government is the coal face of representative democracy in Australia. I really enjoyed hearing from Bernard Salt AM from The Demographics Group. Bernard is a Social Researcher and Futurist, who reinforced this theme with his message that "The Australian people are saying – if you want to connect with me it needs to be through local, tribal, communal, familiar, authentic relationships". It certainly rings true for me. One of our core values at Redman Solutions is relationships because we believe our connection with our clients decides our business success. Bernard went on to outline what he sees as the keys to a successful, prosperous community and a summary of his talk is available here https://bit.ly/2KdTDce. Demographer Bernard Salt from The Demographics Group. Photo: Ian Campbell. A common issue facing local government is the increasing difficulty in meeting and maintaining the vast and growing infrastructure requirements of communities within a climate of funding reductions or caps. It was clear at the conference that greater levels of transparency and engagement are needed to educate community members and to encourage participation in the decision-making processes. As was highlighted by Melbourne City in their 'Participate Melbourne' campaign in 2015 [https://participate.melbourne.vic.gov.au/] - informed citizens make good decisions. There is great technology available to enable greater, more effective collaboration between local councils and their citizens. I’m really excited by some of the existing and emerging technologies available and this is a playing field that we at Redman Solutions are really enjoying. As the father of three young daughters I had a particular interest in what Virginia Hausegger AM, journalist, writer and commentator had to say about the reality of gender equality in Australian workplaces. And it was clear from her presentation that there is still a great amount of work to do to realise equality. As director of the 50:50 by 2030 Foundation, Virginia discussed the need for more woman in leadership roles – if young women are going to aspire to these roles they need to be able to see women in these roles. As a community we need to pay greater attention to the benefits enjoyed by organisations that have a good balance of women and men in leadership roles. This is certainly a key factor of influence in our recruitment decisions at Redman Solutions. Another big issue on the agenda was recycling programs which have become a particularly hot topic after China’s decision to stop importing waste from the rest of the world. Many councils have simply acted as a freight company for recyclable waste and have not engaged in effective programs. Professor Venner Sahajawella presented her research on seeing the value in our waste. By looking at waste in a new way, we can turn it into a completely new resource. Recycling our waste can be an uncomfortable topic – there’s only so many videos of dying sea life I can watch, but there’s increasing awareness and ability to take action by mainstream communities thanks to programs like the ABC’s War on Waste. Check out this short video by Venner about how creating microfactories can help us deal with e-waste. The reoccurring theme of the assembly was one of partnering – between the three tiers of government, between councils and their communities, and between private enterprise and government. More collaboration, more effective partnerships and greater communication will achieve better results. As Bernard Salt said, the key to future prosperity is “unity - a galvanised community makes a powerful difference to your ability to do stuff, to deliver stuff”. It certainly feels like an exciting time to be partnered with local government.